After almost two weeks in Belize, including four nights on Caye Caulker, my friend Sharon and I had reservations to leave. We actually had reservations and tickets to return to the mainland via the water taxi that brought us there from Belize City. But so we could spend a few more hours on the island rather than sitting around in the airport because of schedules, we decided to fly there with Tropic Air in one of its 14-passenger Cessna Caravans. The trip took just 10 or 15 minutes. Just a few feet from the landing strip was an Osprey nest, and an Osprey was sitting there. Taking advantage of the few minutes between check-in and flight time, I walked the few feet until I was directly under the nest. Sharon and I especially wanted to explore the Caye Caulker Forest and Marine Reserve. Getting there took three attempts. Not until our last full day on the island was the sea smooth enough to get there. In 1961 Hurricane Hattie had divided the south and north ends of the island. We were in the village on the south end, but the reserve is on the north end. We needed a guide with a boat to get there. 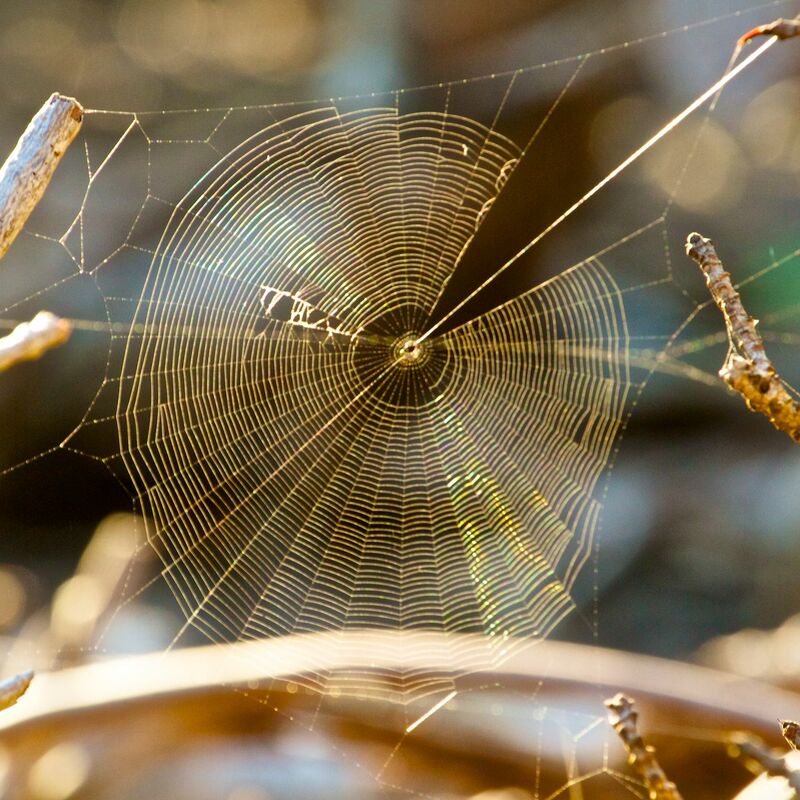 Irene Miller at our B&B recommended an expat naturalist from Oregon named Ellen McRae. Ellen and her son Morgan finally took us there on the morning of November 29 in his little motorboat. 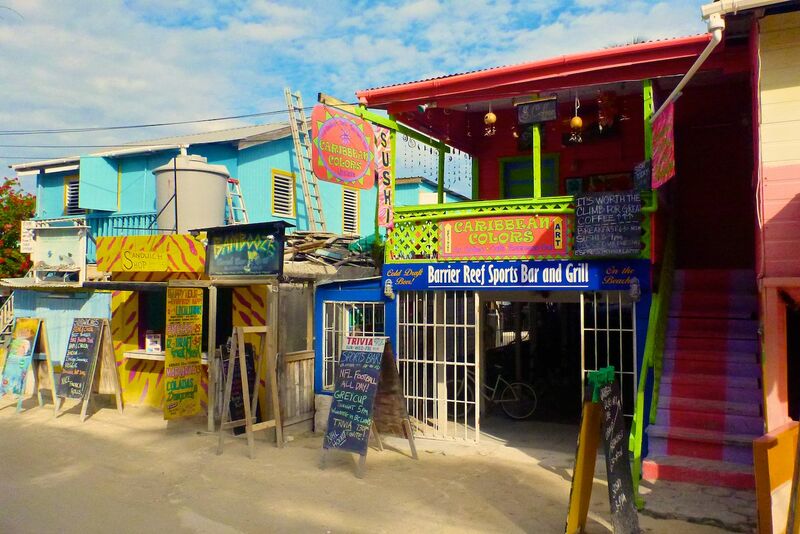 My friend Sharon and I explored the Caye Caulker street scenes during our second day on this island in the Caribbean off the shore of mainland Belize. 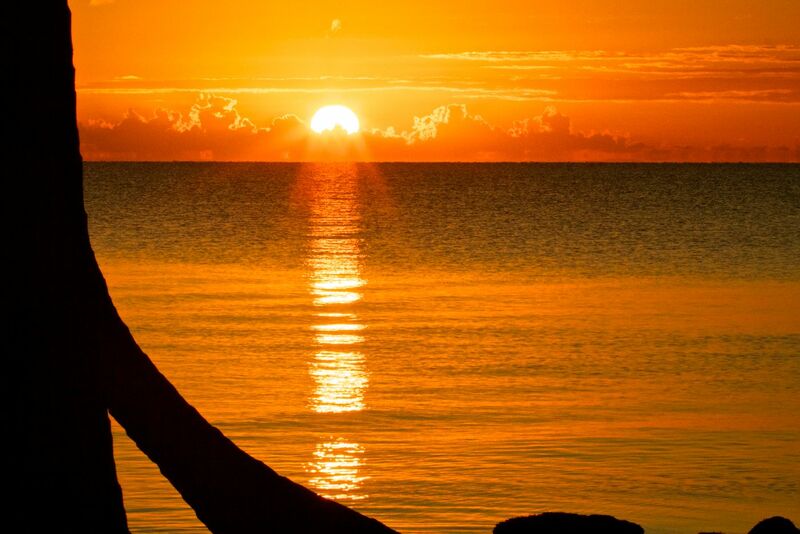 Our eighth day in Belize started early. 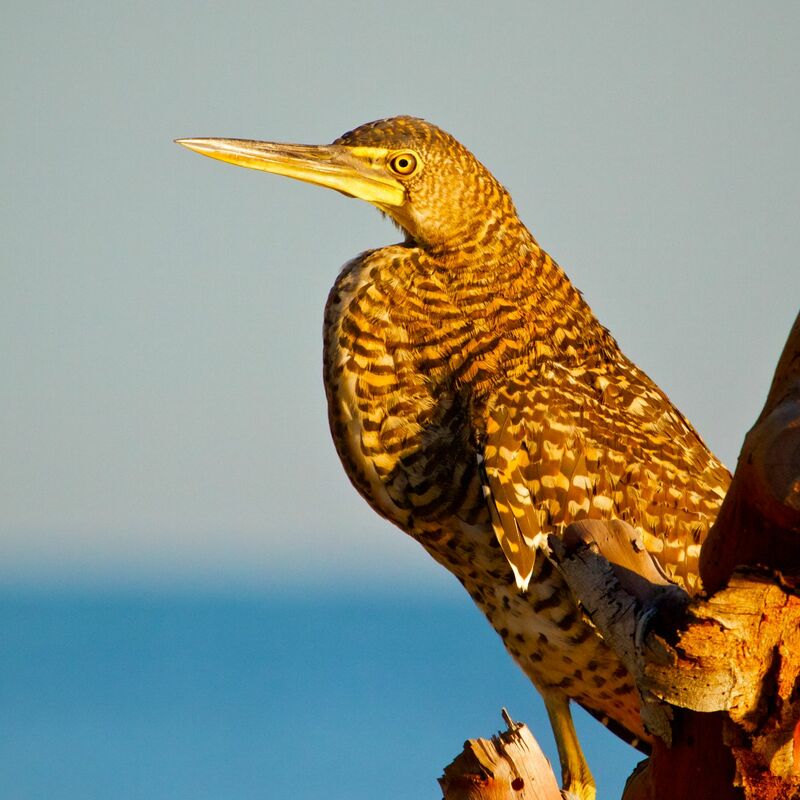 We spotted these odd-looking birds with tails almost as long as their bodies and huge bills that are members of the cuckoo family. Red is my favorite color. So I was delighted to get a good view of the bird below. The mission of our seventh day in Belize was to return from Dangriga to the Crooked Tree Sanctuary. 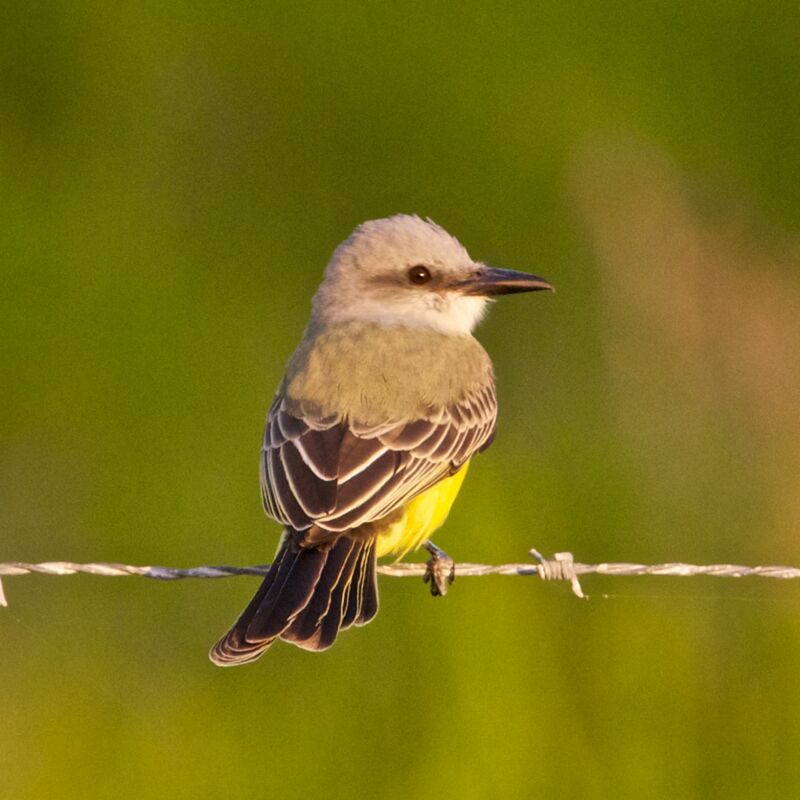 But that didn’t stop us from looking for and finding many beautiful birds everywhere we went. The day started early with a glorious sunrise at 6 a.m. Within a few minutes we had found herons, some of my favorite birds. I love their patience and try to emulate them. I had never seen that species before. But after we left Dangriga, we found another beautiful heron, one that I have seen often and appreciate all the more. 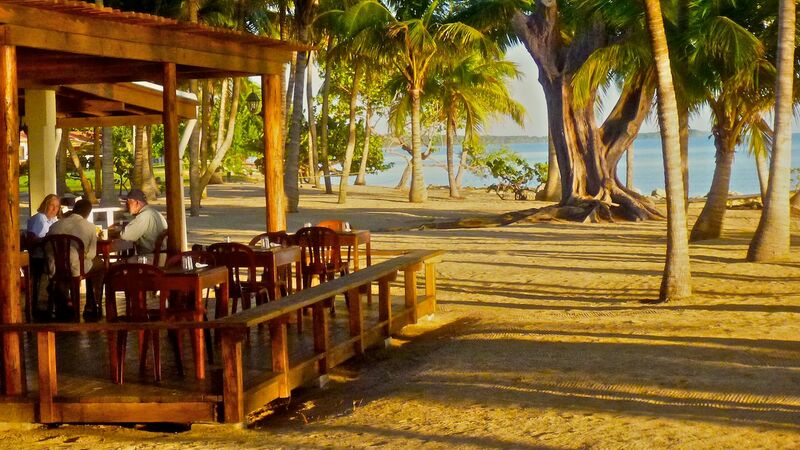 Thanksgiving Day in Belize gave us much to be thankful for. For starters, the rain of the previous day was gone. We had the most sunny and calm weather that anyone could desire. 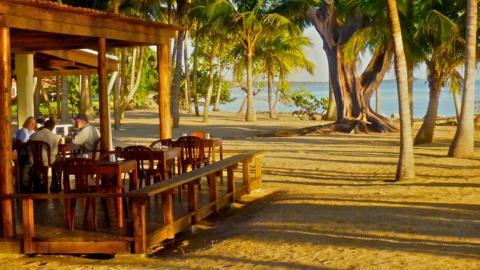 A one-hour ride in a skiff from Dangriga took us to two small islands on the barrier reef. Our guide, Glenn, said that he had been here many times before and he had never seen the sea so calm inside the reef. En route to our destination on South Water Caye we passed close to Man-o-War Caye, which is uninhabited except by birds — by many birds, but mainly by Brown Boobies and Magnificent Frigatebirds. I had never seen any boobies before. But I had seen the other bird large seabird that nests on Man-o-War Caye. 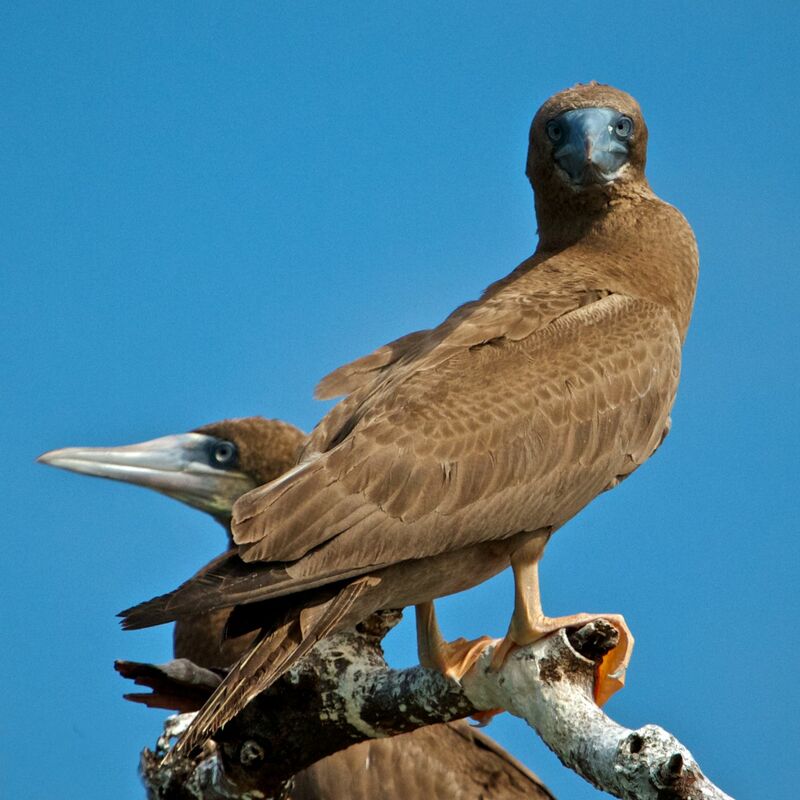 Many Magnificent Frigatebirds had flown over me when I visited the Dry Tortugas in February, but they weren’t nesting there. At the end of our fourth day in Belize we moved from Crooked Tree Lodge in northern Belize to Dangriga, a town in the southern part of the country. We stayed at the Pelican Beach Resort right on the beach at the Caribbean Sea. Our fifth day in Belize started sunny. We came here in part to enjoy the Caribbean and the Belize Barrier Reef, one of the longest reefs in the world. But our immediate goal was the Cockscomb Basin Wildlife Sanctuary. 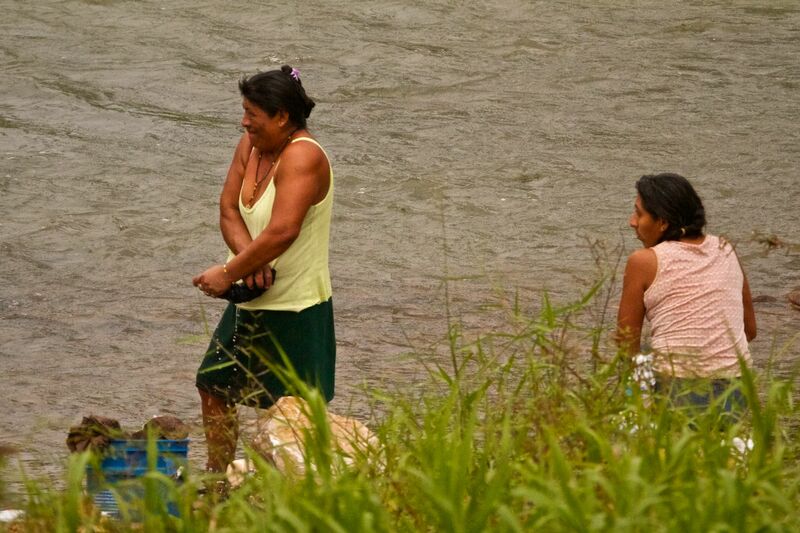 En route there we saw these Mayan woman doing their laundry in the river. At Monkey Bay we didn’t see any monkeys. Or even a bay. But we had one of our biggest days of birding ever. Sandy Komito, our tour companion, had his Big Years in 1987 and 1998 when he established new records by seeing 721 and 748 species of birds respectively. His record of 748 in 1998 still stands. In our Big Day we didn’t see quite as many, but they included the ones that Sharon and I most wanted to see in Belize. Sharon most wanted to see a Jabiru Stork. I most wanted to see a toucan. 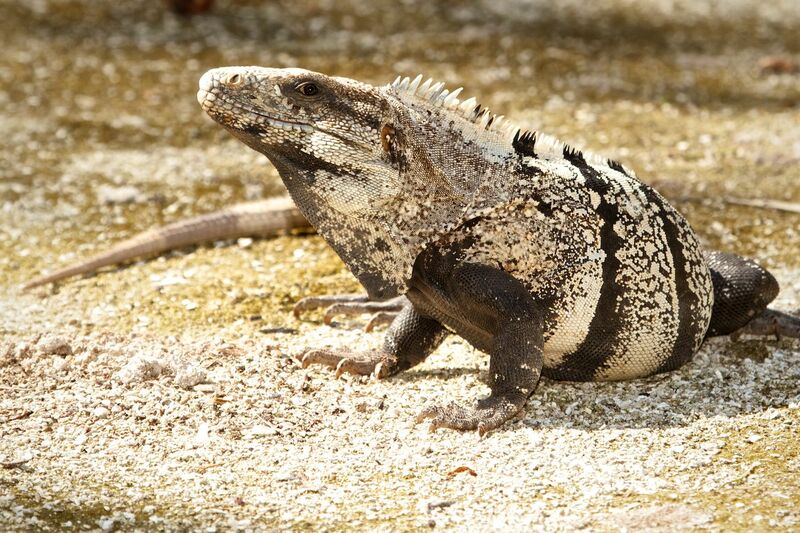 We saw and photographed both on our fourth day in Belize. While I was in Panama during March, I had seen many Keel-billed Toucans. But the toucan we saw in Belize was, if anything, even more colorful. En route from Crooked Tree Lodge to Monkey Bay, Glenn took us on a side road near Sand Hill where he thought he might find Jabirus. He did! 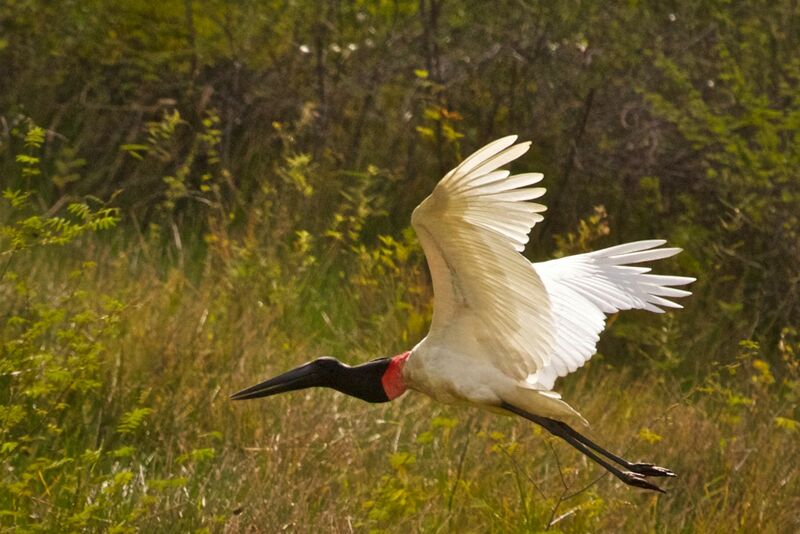 The Jabiru is the tallest flying bird in South America and Central America, standing up to 5 feet tall. 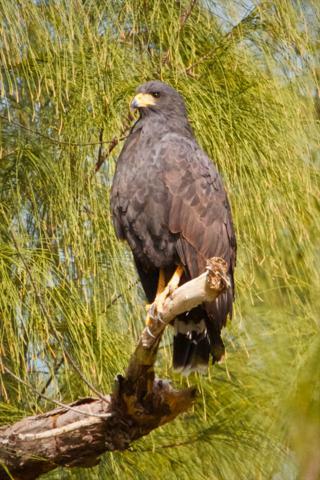 Along with the Andean Condor, it has the largest wingspan of any land bird in the world, about 9 or 10 feet. The big surprise for me when we visited the Lamanai Archaelogical Reserve was the Mennonites in Belize. About 10,000 German-speaking Mennonites live in Belize as farmers who live according to their religious beliefs. I particularly admire Mennonites, because their religion is one of the three historic peace churches that advocate pacifism (the others are the Church of the Brethern and the Religious Society of Friends, or Quakers). 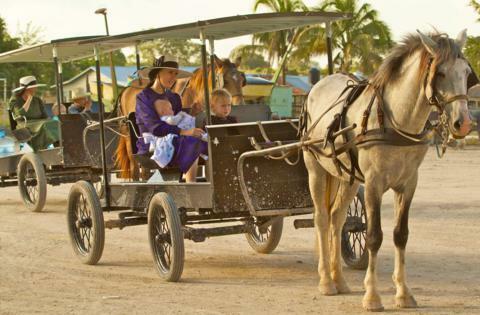 The Mennonites stand out in Belize, and not just because of their fair skins. The women wear bonnets and long, bright dresses, and the men wear denim overalls, hats, suspenders, and dark trousers. They use horse-drawn buggies. We spent several hours in a large Mennonite settlement as their mechanics fixed a problem with the fuel pump of our vehicle. 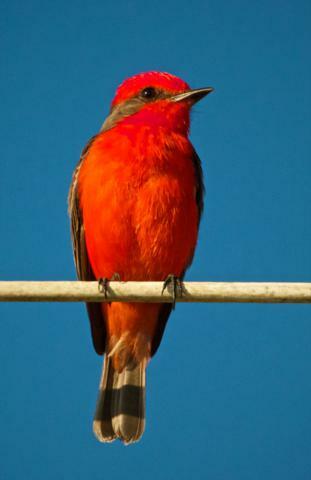 While we waited, I wandered around and found this bird on a wire. The main attraction of Crooked Tree Wildlife Sanctuary in Northern Belize is the opportunity to take a guided boat trip through its lagoons. A paradise for people who love birds and wildlife, this sanctuary is an inland island surrounded by a chain of fresh-water lagoons. Our tour guide, Glenn Crawford, lives in Crooked Tree village, knows the area well, and has his own motor boat. On the Monday morning before Thanksgiving he took Sharon, Sandy, and me through the Northern Lagoon, which is in the sanctuary to the east of the village. 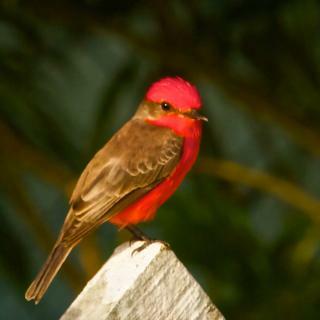 But even before we left land we saw many colorful birds around the dock. One of the most colorful was this little flycatcher. 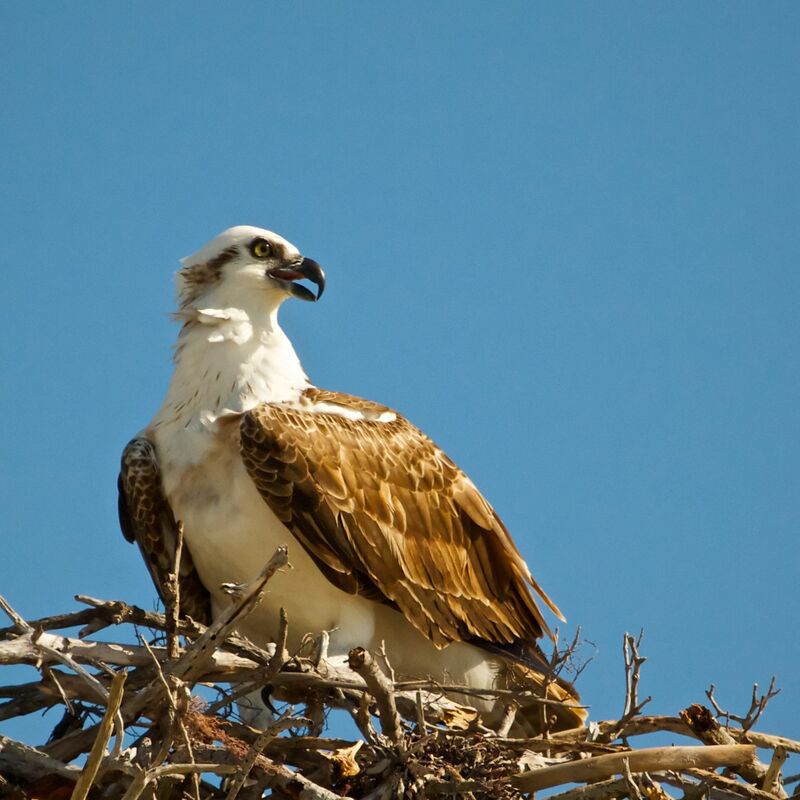 Raptors are some of my favorite birds, and along the lagoon we saw five species of them. The hawk below is mainly a fish eater.